Lou and Liz in the morning, the Jersey Shore’s hit music channel, is one of our go to stations in the car every morning!! And we are proud to share our journey with them as active Military Supporters. Tune in to Lou and Liz and we’ll be chatting with them soon!!!! After serving our country and suffering from PTSD, Michael Dowens is raising money and awareness for PTSD by walking 240 miles in four days. Michael is an honorably discharged Navy veteran plagued with PTSD. 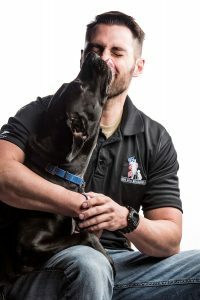 He and his wife Christine founded Unbroken Warriors to help veterans cover their costs for receiving residential level mental health interventions specially designed for PTSD. Micheal served four years active duty as a search and rescue swimmer. He graduated naval bootcamp performing at the top of his class and was given a special distinguishment. Michael and his nonprofit are hoping to help other afflicted veterans by walking 240 miles nonstop over the next four days from Washington, D.C. to New Jersey. Michael’s ruck march last year raised $30,000. This year he hopes to match that.Donations can be made by CLICKING HERE. A free welcoming home party will be open to all at VFW Post 133 in East Brunswick at 5:30 pm on June 3rd.